Guwahati: How does it feel for an Assamese to learn English Vinglish? “Feels good,” according to the man who has done it. 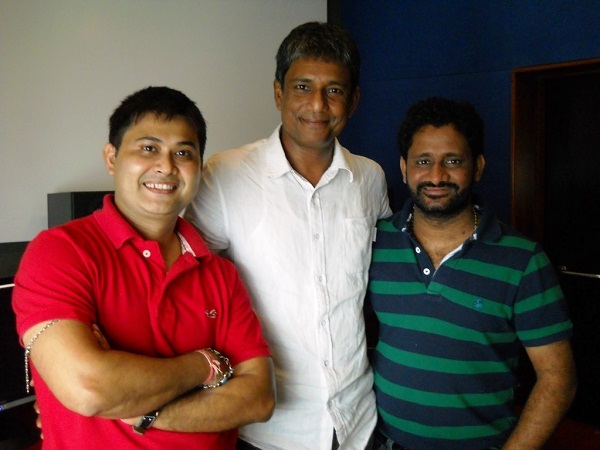 Adil Hussain, the ‘face’ of Assam in Bollywood at present, is going places. And how. After a globe-trotting venture in the action-thriller Agent Vinod starring Saif Ali Khan, Hussain is now playing the role of Sridevi’s husband in her comeback movie set against the backdrop of London. Sridevi, once the heartthrob of the country, is making a comeback to Bollywood after 15 long years. English Vinglish, an R Balki produced film, is slated for release on October 5 after its global premiere at the Toronto Film Festival on September 14. Significantly, the film has another Assam connection in the form of Amrit Pritam, who is the sound designer. Adil Hussain, who has already created a niche for himself in the world of acting, said that this film is essential for Indian viewers. “I would say (this film is) very essential for Indian viewers to see because it deals with the hierarchy of language, especially the colonial language which is English. We have a tendency to look down on people who cannot speak English. You may be from Delhi or Goalpara — we all have this colonial hangover to look up at English which is simply a language, no more, no less,” Adil who also features in Ang Lee’s Life of Pi, told Seven Sisters Post. He also feels that this film would give a “hint why it is important to see our languages with respect and the importance to feel proud of them”. Besides Sridevi and Adil, Priya Anand, Mehdi Nebbou, Sujata Kumar, Neelu Sochi Sodhi, Ross Nathan and others feature in the film which will also be released in Tamil and Telegu. Amitabh Bachchan makes a guest appearance in the Hindi version while renowned South Indian actor Ajith Kumar will be seen in the Tamil version. The film is being directed by debutant Gauri Shinde. Adil, whose character as the sinister Colonel in Saif Ali Khan’s Agent Vinod recently was widely appreciated by the viewers and whose name is now frequently pronounced in Bollywood and beyond, said that his responsibility as an actor or a human being has increased. “In one word… it feels good,” he said responding to this. “At the same time it becomes a responsible position. Because when people know you, they follow you or read every word you utter. People make a role model out of you. I’m concerned about that. One has to be vigilant about it,” he added. Adil, who used to perform in a group of stand-up comedians — the Bhaya Mama Group in the early 1980s in Assam before moving to the National School of Drama, is excited to play husband to Sridevi. “She has been extremely supportive to an actor like me who is not a star. Her way of acting — how she is aware of the camera and at the same time how she is truthful about it. That kind of acting she does which is very professional. She delivers at the highest level of satisfaction for the director. It’s been learning process from her,” he said. Adil, who hails from Goalpara, has several projects in the pipeline in the coming days in which he would be seen in different roles. In Ang Lee’s Life of Pi, he plays Pi’s father. He will be also seen in a very important role in Vikramaditya Motwane’s Lootera which also features Ranveer Singh and Sonakshi Sinha. “I’m an actor and I’m supposed to play every kind of role given to me. I need to find a way to be truthful and convincing in every possible role. Actors are meant to be act — no matter whether it’s Gandhi, Godse, Hitler or Jesus Christ,” he added.